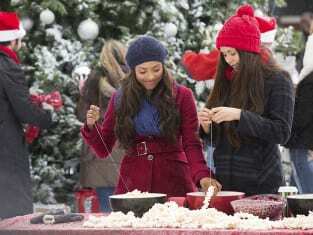 On The Vampire Diaries Season 6 Episode 10, Sheriff Forbes surprised her daughter by bringing the fun of the holidays to Whitmore College. Sadly, however, Caroline would be in for a much worse surprise later in the installment. Elsewhere during the hour, Alaric turned to Damon and Elena for assistance after Jo goes missing; while Tyler came up with a risky plan for Luke and Liv. What did it entail? And what terrible news did Stefan break to Caroline? With far too long to wait until the next new episode, you can at least watch The Vampire Diaries online now and relive all that took place on the winter finale.